It's been a year since I booked RT tickets to Busuanga (gateway to Coron, the northern part of Palawan) c/o Airphil Express Php88 seat sale. In a year, a lot had happend, including several flight changes by the said airline. There was even a time when Airphil Express said they will cease flights to Busuanga and that we will either be trasnfered to PAL Express or refund the ticket. Since Palawan has been my ultimate dream destination, I did not refund our tickets and instead requested to be transferred to PAL Express. 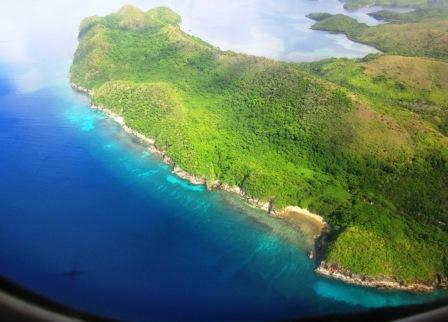 Early this year, Airphil Express said they will not cease flights to Busuanga and we will be given new tickets again. 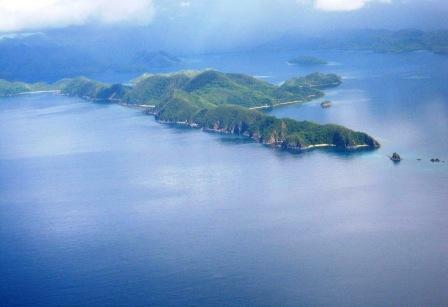 Okay, that's a bit annoying but since it's Palawan, never mind the hassle. I have a feeling that this trip is going to be tremendous. 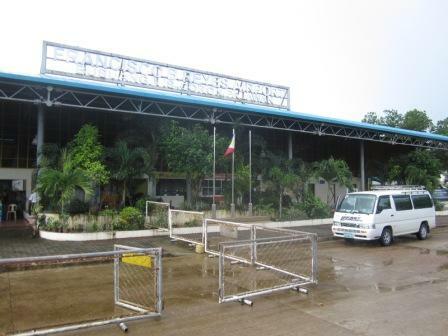 Our flight is at 11:50 am, but we were fetched by the NAIA shuttle from the departure area at a little before 12:00 noon. We boarded Airphil Express flight 2P033 bound for Busuanga, a Q400 aircraft, in other words a Turboprop. Honestly, I am really afraid of small planes, as they tend to make the passengers feel the turbulence more. 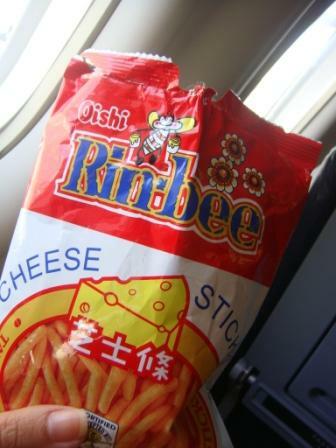 So to ease my tension, I munched on Rin-Bee, my all-time favorite snack that I rarely see nowadays. 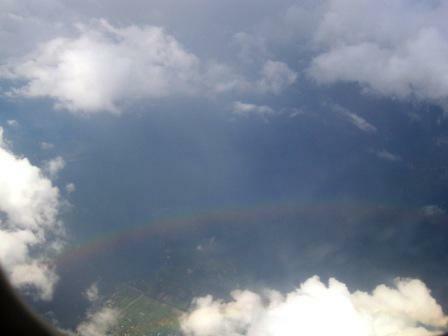 Since I am really nervous riding on a small plane, I kept myself busy by taking aerial shots. After about 40 minutes, the pilot said we couldn't land in Busuanga Airport due to zero visibility and we had to wait about 10 minutes to see if the condition would improve. 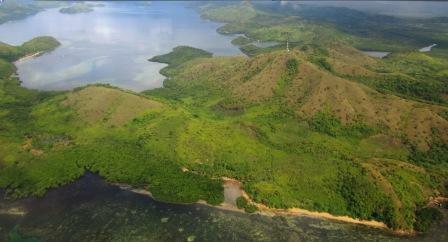 After 10 minutes, the pilot announced that Busuanga Airport was closed and we would head back to Manila. As expected, the passengers were all disappointed. What now? 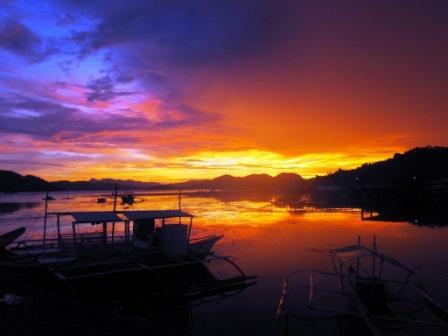 My friend from a forum (Girltalk) took Cebu Pacific that day as she would join us in Coron. I called her immediately to tell her that we disembarked again in NAIA Terminal 3. She told us that she was also walking down the departure area because their flight was cancelled. After about 30 minutes, we were asked to board again. Yehey! 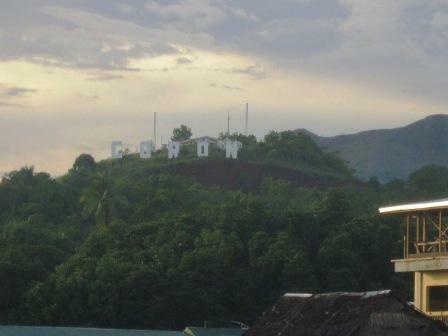 We are going to Coron! There is still hope! The pilot was witty, perhaps because this was our second flight for the day and he wanted to lessen the passengers' annoyance. He warned us though that this flight was going to be a little bit "sporty". Uh oh, I could smell turbulence galore! 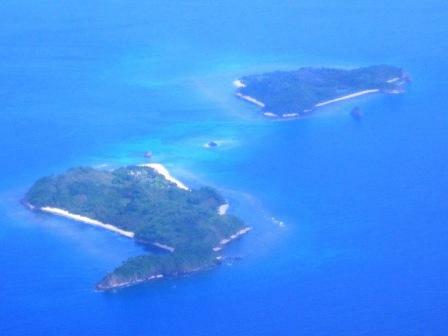 While onboard, I took aerial photos of the islands we passed by. There's even a rainbow! I think this is Club Paradise? Not sure though. 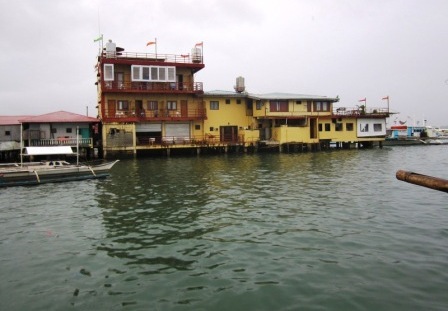 And I am guessing this is El Rio Y Mar? Yey! We're near! To land or not to land, that is the question. Nearer...to land? Com'on captain, tell us we will land! 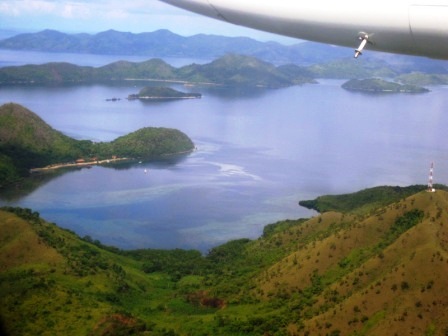 Then the pilot announced we are on our final approach to Busuanga airport. Yehey! We are landing! 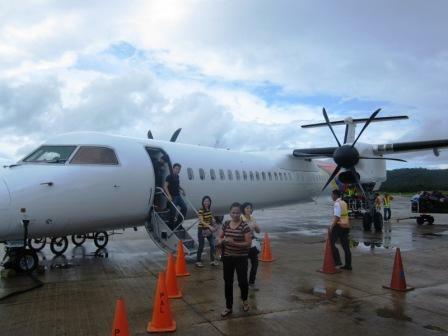 Then I learned later on that Airphil Express' Q400 aircrafts are better than Cebu Pacific's ATR aircrafts as ATRs cannot really withstand bad weather conditions, hence, they are more susceptible to flight cancellations. Airphil Express Q400 aircrafts are faster and tougher than ATRs. So next time you book a Turboprop, check if it's Q400 or ATR. 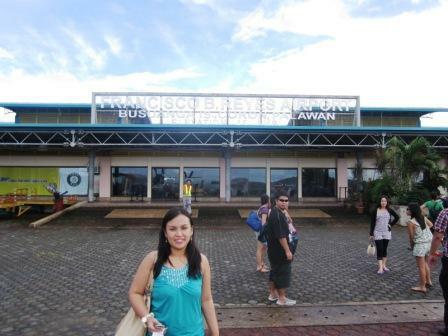 Finally, we stepped foot in Busuanga Airport! 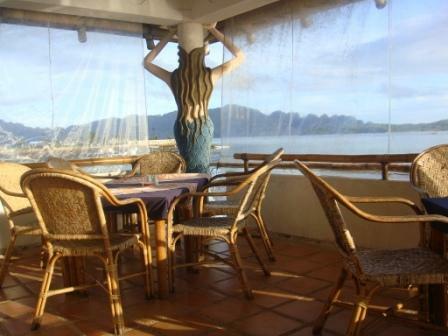 We booked our accommodation at Coron Reef Pension House, and they also arranged our airport transfers. Anyhow, even if you do not arrange your transfers, there are lots of vans there who can bring you to your hotel. Standard fare is Php 150/pax one way. Think FX. 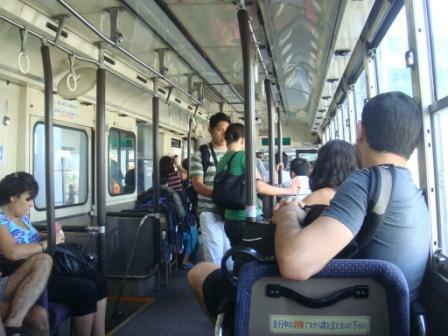 Is it possible to ride a tricycle from airport to town? I think it is possible but it is dangerous as you will pass by hills and rough roads. Also, the fare might be pricey as well considering the gas that it will consume. Php 150 is fair enough for a comfortable ride to your accommodation. 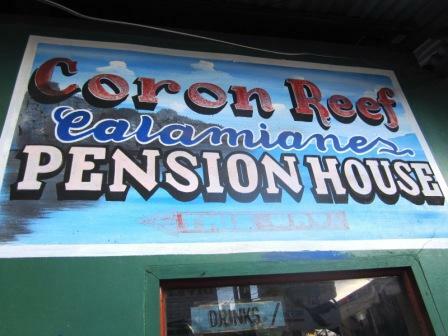 Coron Reef Pension House is the cheapest accommodation in town. 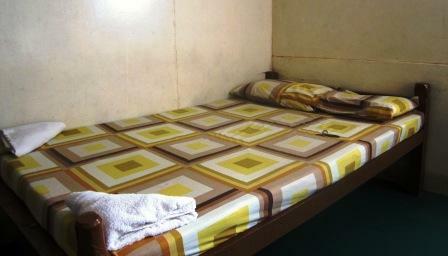 We got our standard room at Php 600/ night. The owner, Ms. Chinnet Pe and her daughter Ms. Kristine Pe were the ones managing the inn. Ms. Lani on the other hand is the caretaker. They are all nice and hospitable. 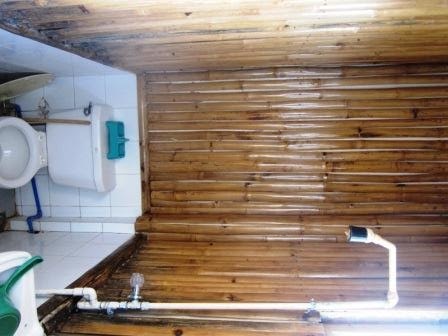 The rooms in Coron Reef are perfect for backpackers, very basic and made of indigenous materials. Do not expect hotel amenities. Hey for the price of Php 600/ night, this is a good deal already! Bed is very basic, yet I still slept comfortably. The room is airconditioned. 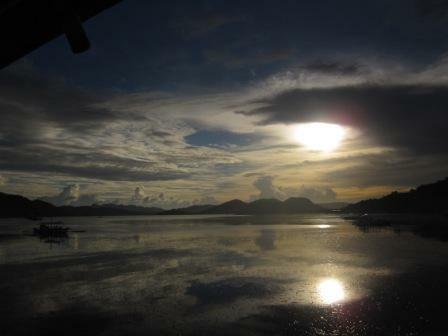 However, in Coron, power is really a problem. Blackouts are often. 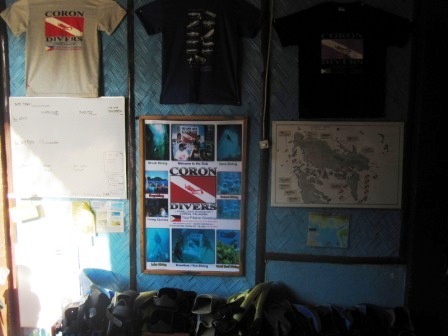 Don't fret as Coron Reef has a generator and a backup fan just in case. You'll be out most of the times so a hotel room might not be a practical idea. 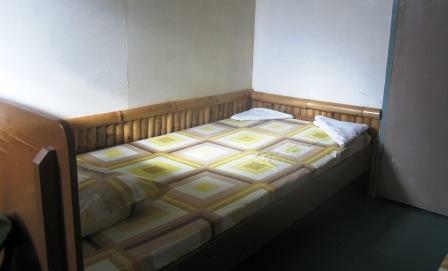 It has a double bed and a single bed, 3 pax can fit in this room. 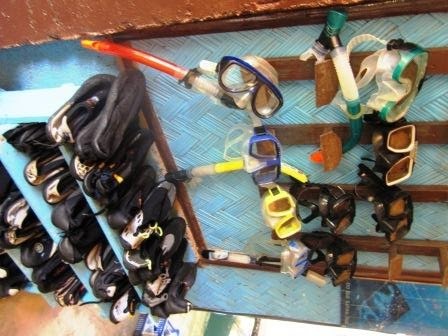 There is no hot and cold shower in Coron Reef. 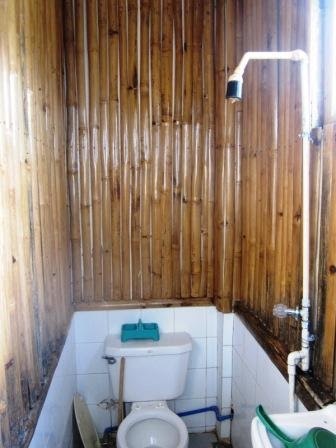 But the bathroom is clean. 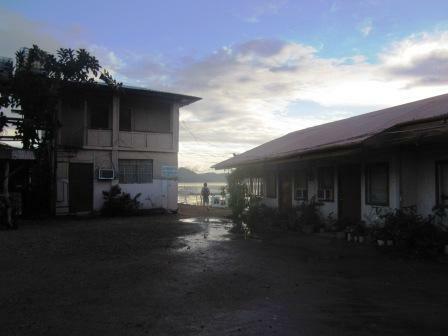 When we were there, the entire town has water interruption, but Coron Reef has water pump that gives continuous water supply to the rooms. 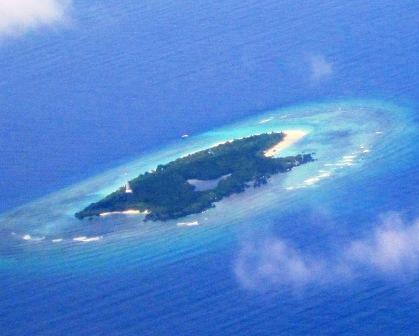 They have seaview rooms and a room for big groups. 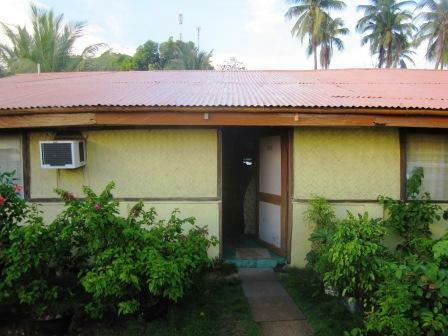 The one that has a second floor can fit 10 pax at Php 1,500/ floor. Not bad! And they serve sumptuous breakfast at Php 100/ pax. And when I say sumptuous, I mean heavy breakfast! The serving is not per plate (ala carte). its like a controlled buffet with no buffet tables. 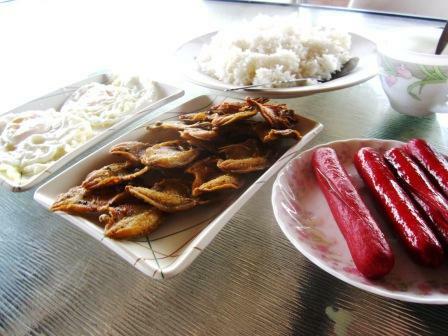 They will serve you rice, lamayo (danggit), sunny side up eggs, and hotdogs, good for 3-4 pax! The serving is really huge. Coffee and water is free all day. 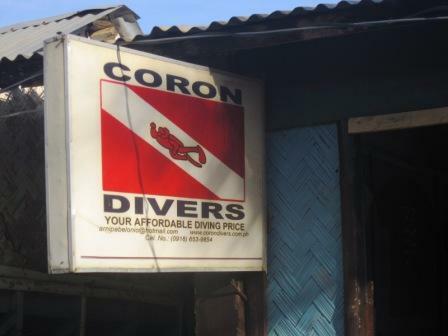 Coron Reef is walking distance to everything, like the public market, a dive shop, souvenir shop, La Sirenetta, Bistro Coron, Kawayanan Grill, Lolo Nonoy's and even Mt. Tapyas. So it will save you from tricycle fares. 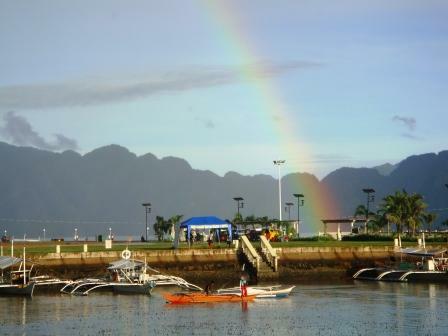 La Sirenetta is at the end of the docking area of Coron Reef. We browsed their menu and one word collectively describes it - expensive. A crepe for example is at Php 250 up. A bottle of coke (as in 8 oz coke) is Php 40. 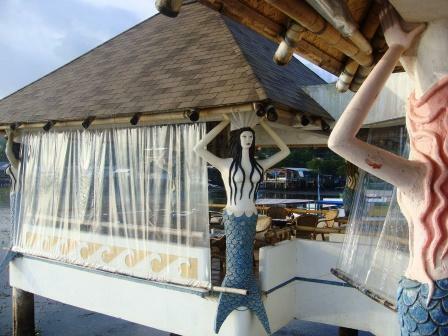 La Sirenetta is owned by the same owners of Cafe del Mar in Boracay and Puerto Del Sol in Busuanga. 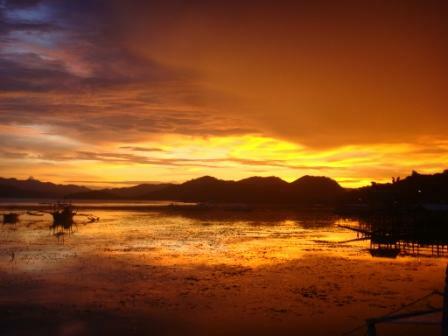 The best thing about La Sirenetta, and perhaps the reason why their food is so expensive is that they have the best view of sunset and the Coron Bay. A view of the port from La Sirenetta. It's a rainbow again! 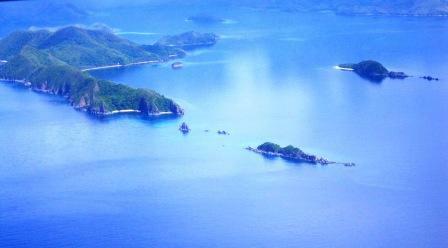 Seadive, another accomodation in Coron is just a few hops away from La Sirenetta/ Coron Reef. 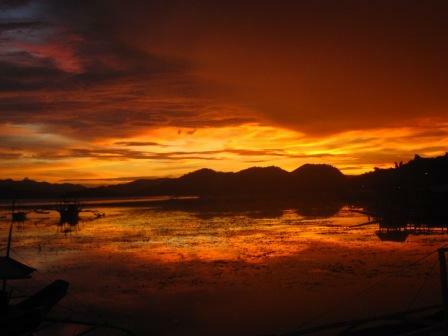 And here are the breathtaking sunset shots from La Sirenetta. We headed out for a city tour that same day. Will post soon!